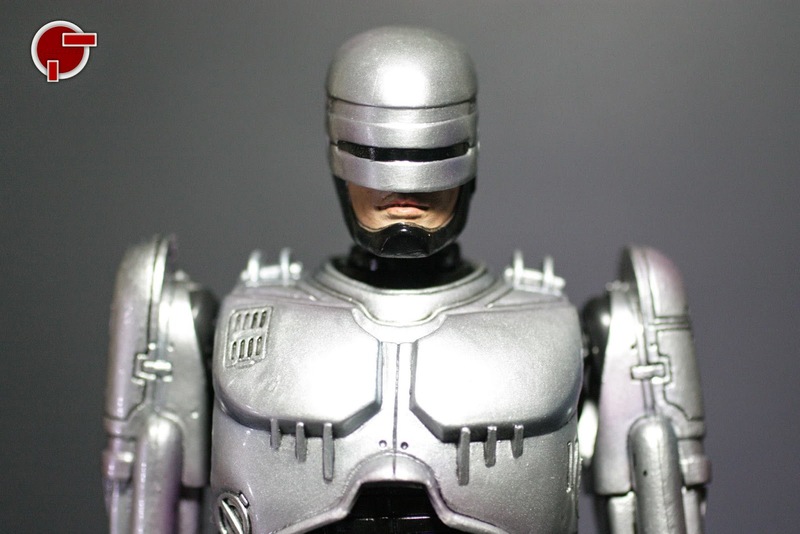 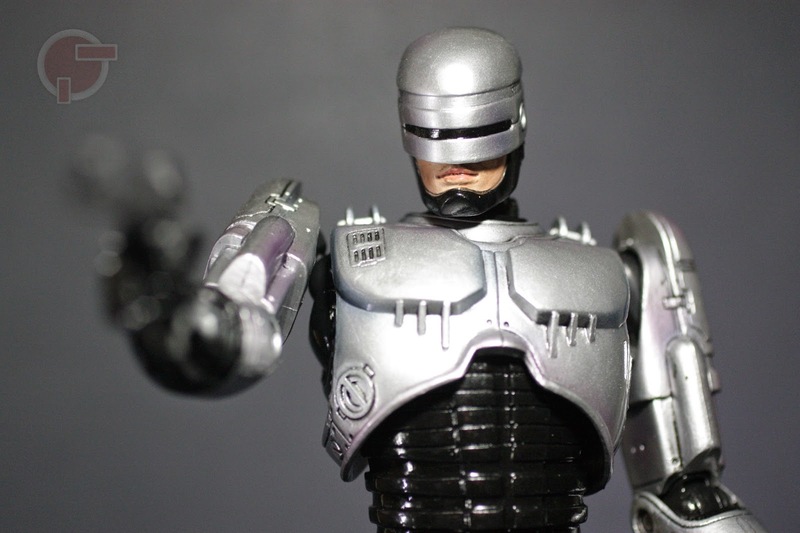 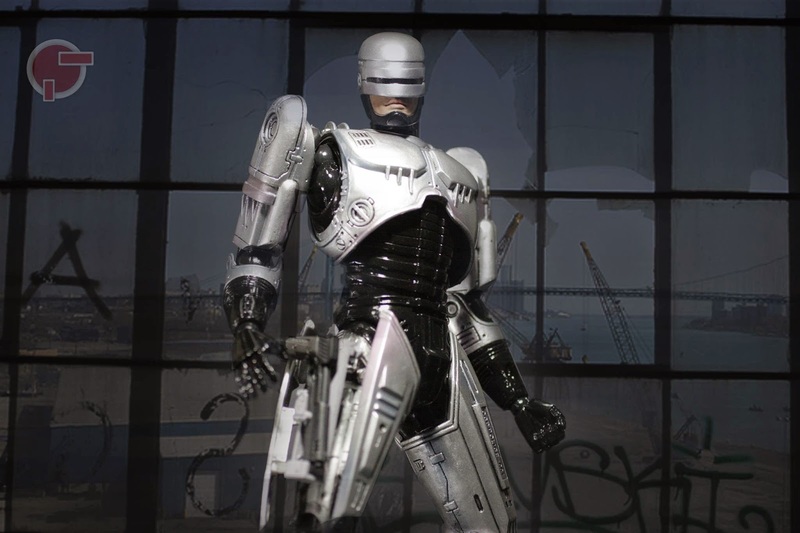 Square Enix will not be left behind in releasing their version of 1987 Robocop to party with the 2014 movie remake. 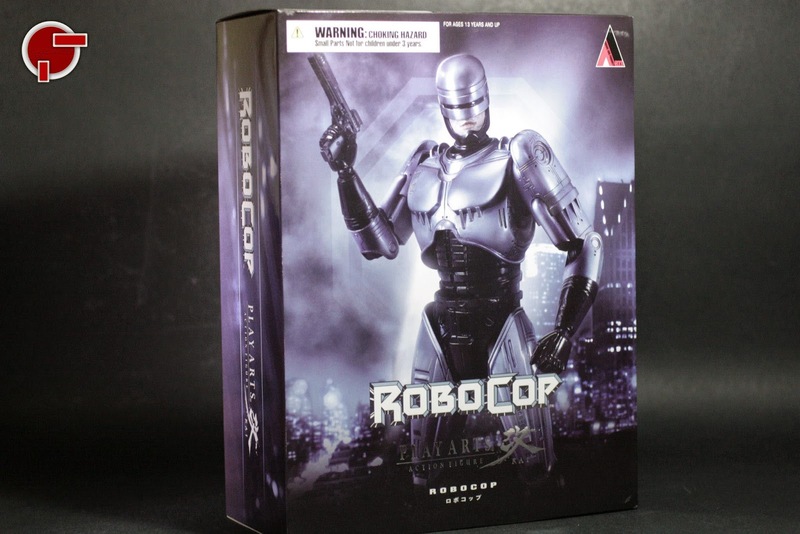 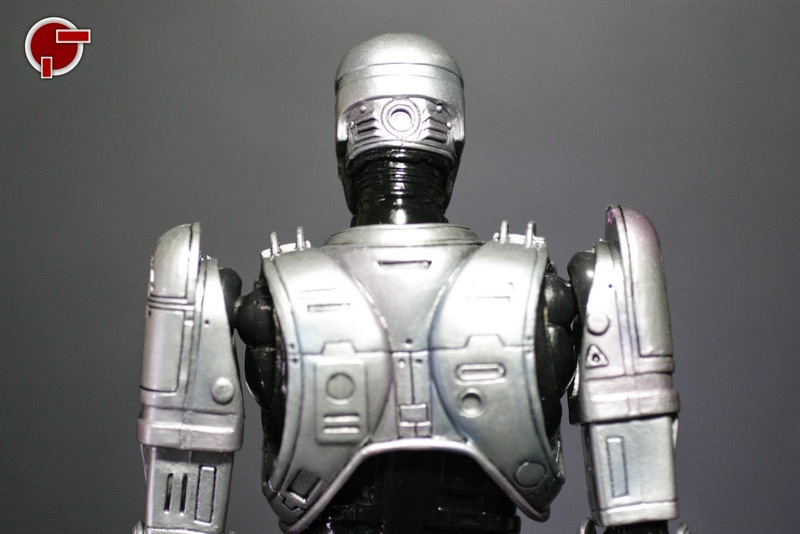 The Play Arts Kai 1987 Robocop is quite different from other toy lines in terms of treatment. 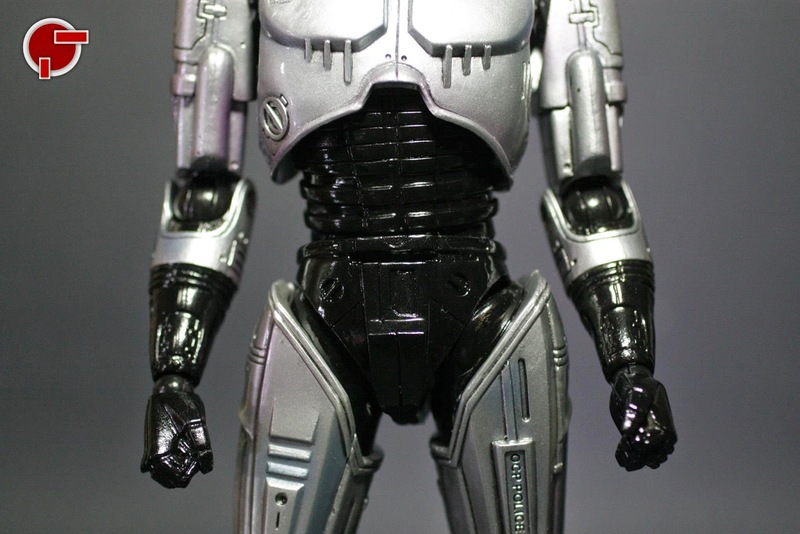 This version has higher shoulders, a more slim body frame and hints of green and purple but these react differently as a solid gray in photo reactive light sources. 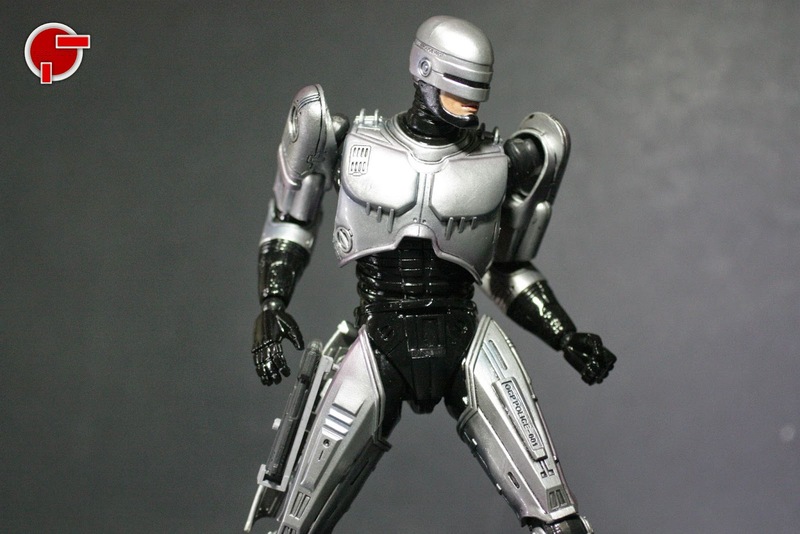 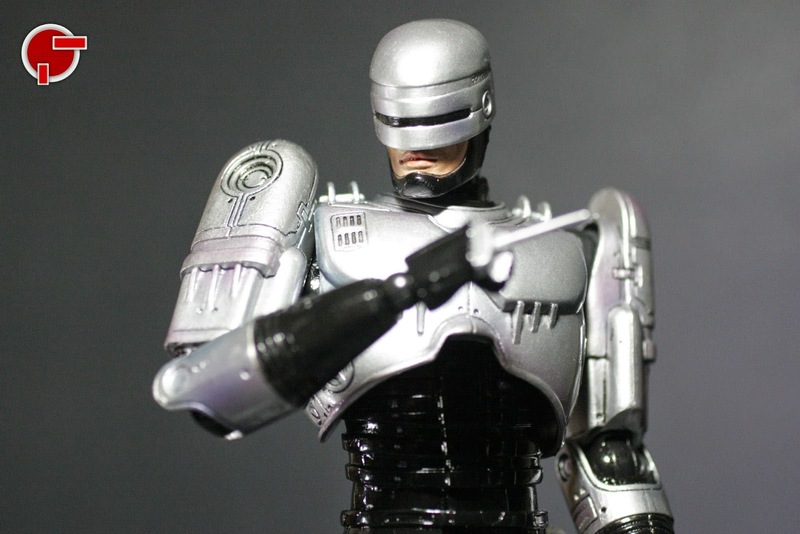 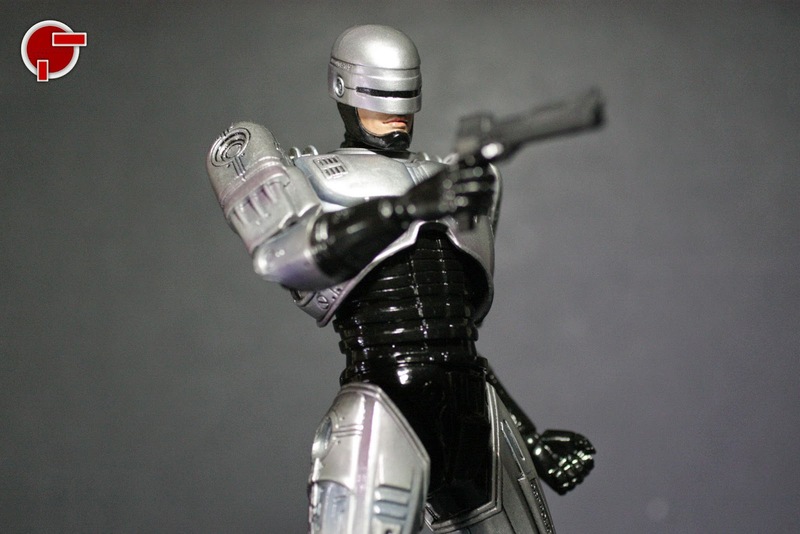 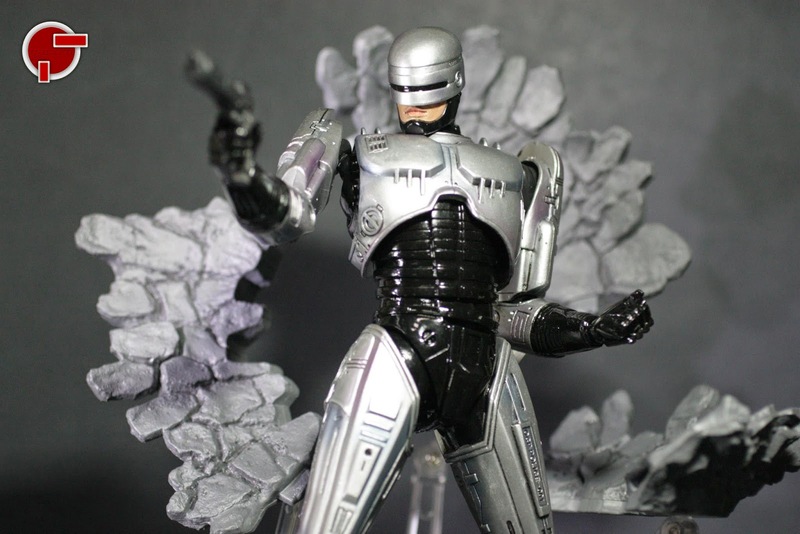 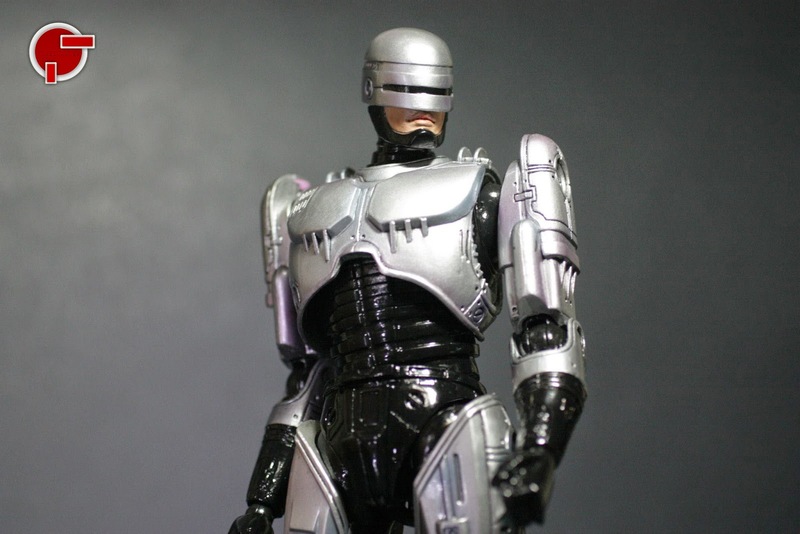 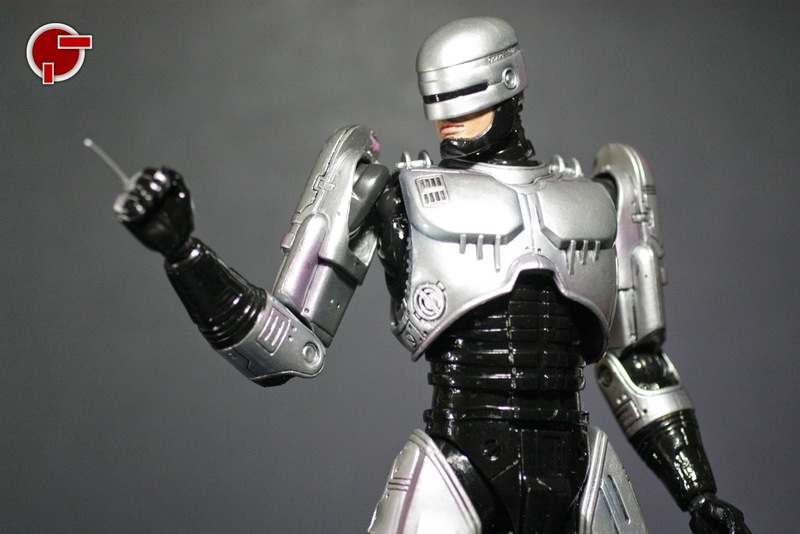 As part of the latest Play Arts Kai family of figures, Robocop comes with a white stage. 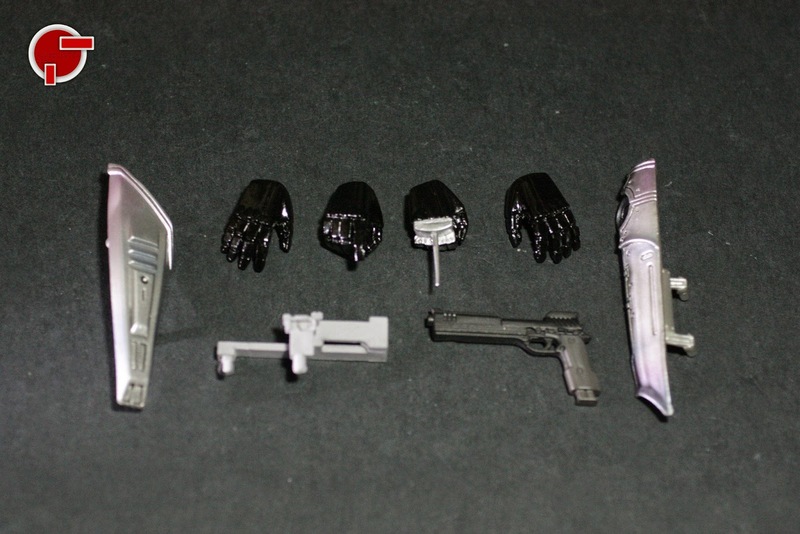 Also included are 4 extra hands, his Auto-9 gun and additional parts for his leg holster compartment. 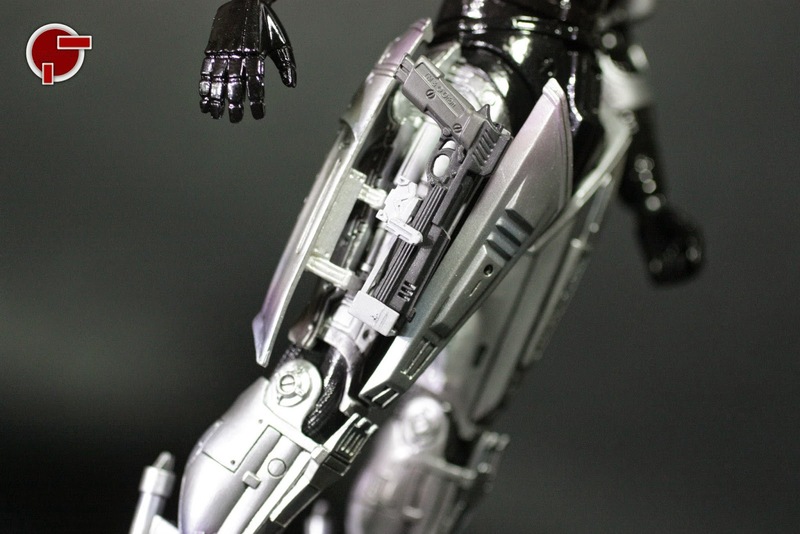 One of the 4 hands has a soft Interface Needle that is susceptible to deformity. 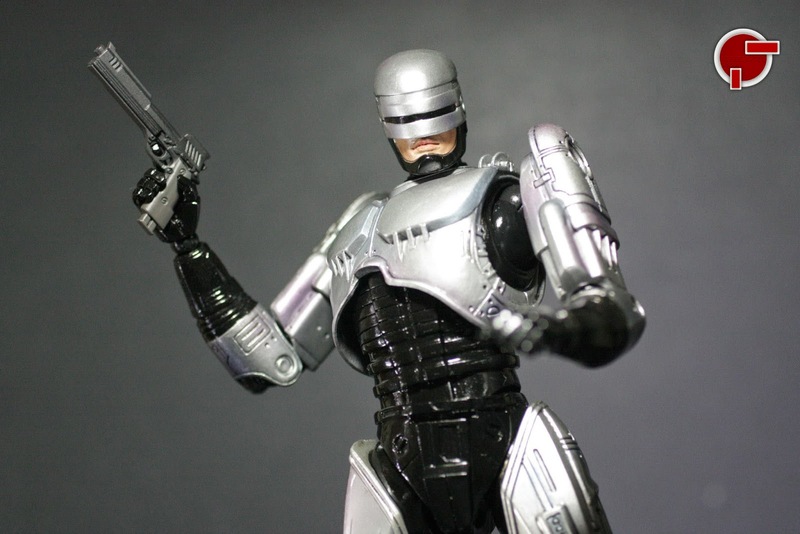 To use the Leg Holster parts, you need to peel, yes peel the front thigh armor then peg the rest of the panels and the actual holster to clip the gun in. 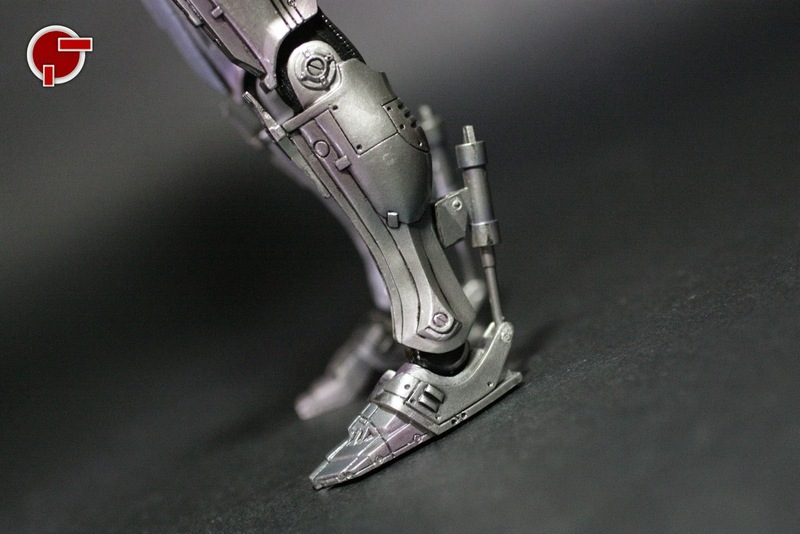 The biggest issue of the figure is accuracy. 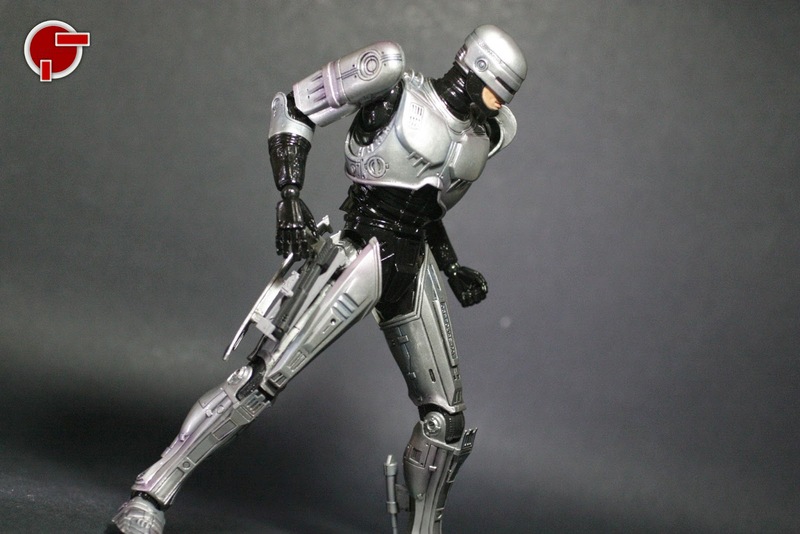 First the head feels too long and the shoulders too high, but these nuisances fade away when you start playing and experimenting on the poses. 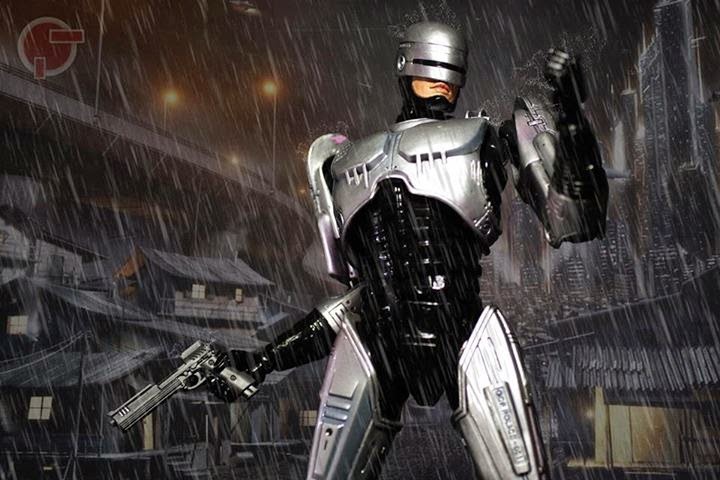 I understand there are limitations but that’s what Robocop was decades ago. 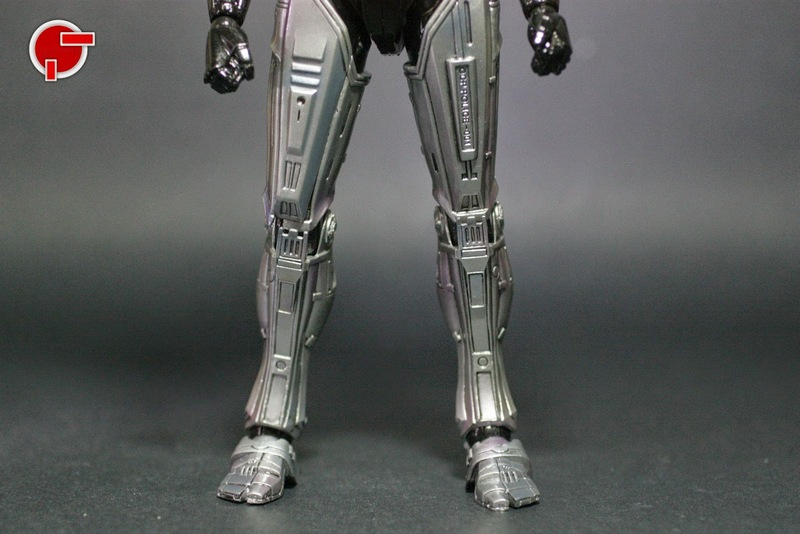 Other issues are the neck and waist joints. 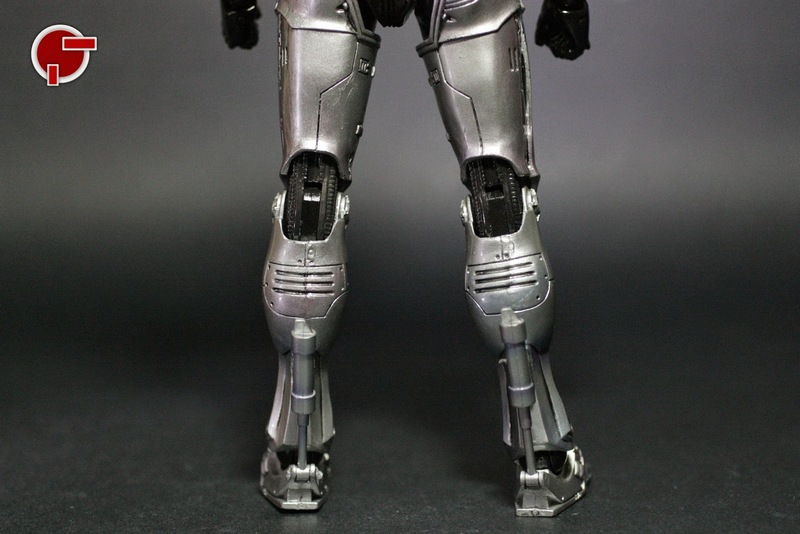 You can see the gap in between as you move the figure. 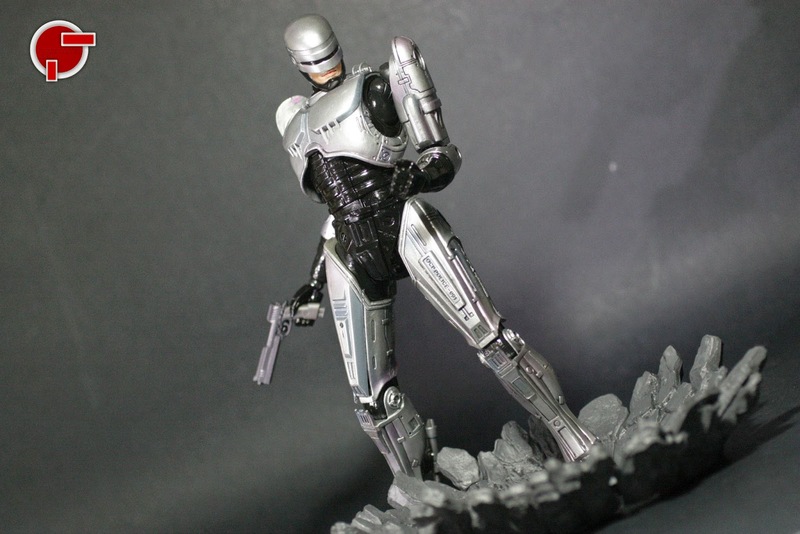 Positive points are the paint application, the skin exposed mouth and jaw area and how solid the figure is. 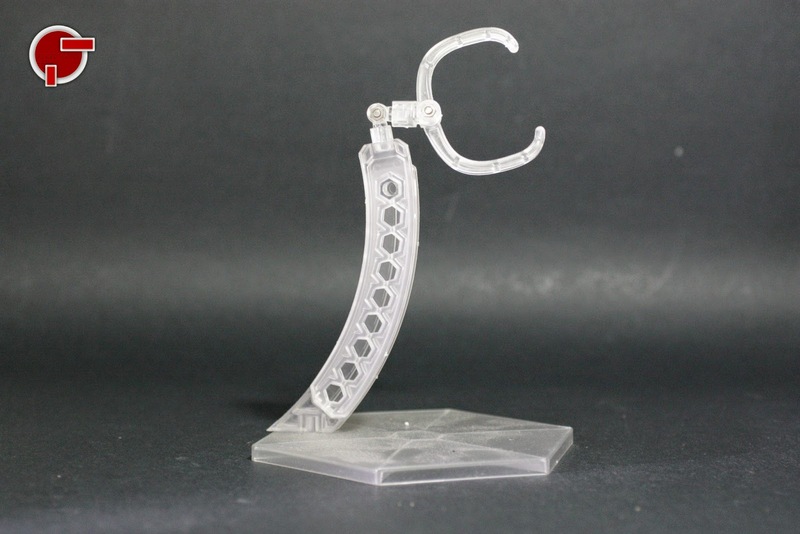 If you are looking for accuracy, spend additional hundreds for a better figure. 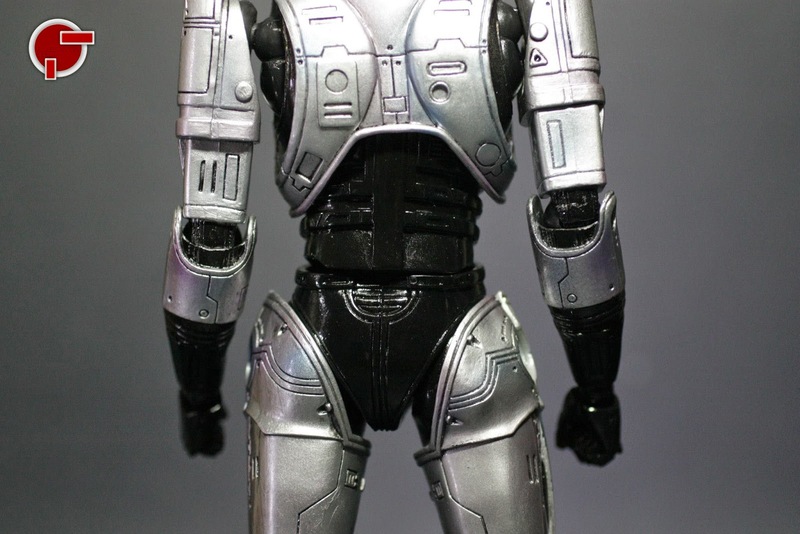 This set is not really bad, but also not that impressive.